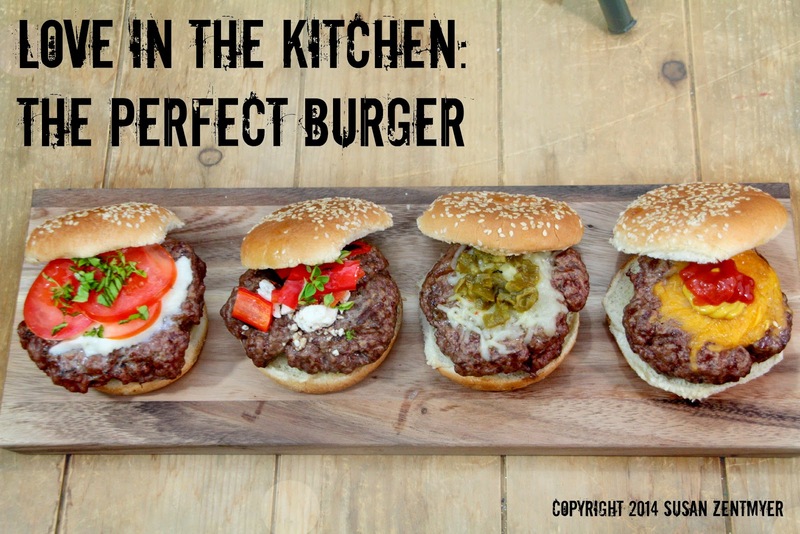 Love from the Kitchen: Love from the Grill: The Perfect Burger.... with Options! 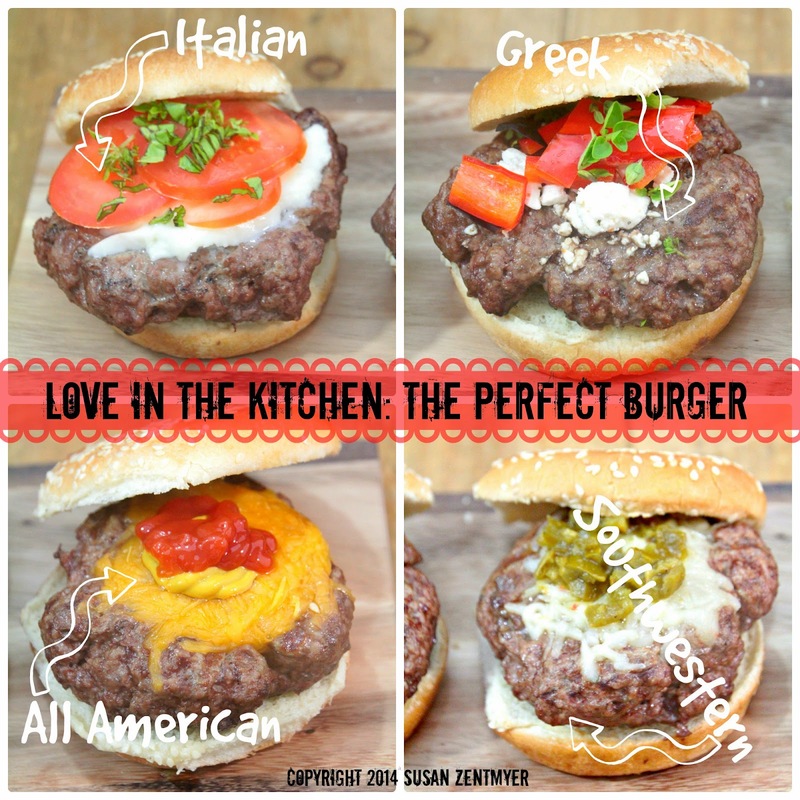 Love from the Grill: The Perfect Burger.... with Options! The foundation of a hamburger is the meat. Different cuts have different amounts of fat and flavor, and as we learned with steak, cut makes a big difference. Ground round has about 11 percent fat, making it a favorite of dieters, but producing less-juicy burgers. I like a mix of ground chuck and ground sirloin - the best of both worlds. While the meat is still cold, divide into equal portions, about 6 ounces each. Work quickly and gently - handling the meat delicately prevents the burgers from getting too dense and firm, and keeping it cold prevents the fat from melting, which would also make the burgers tougher. Form each portion loosely into a 3/4-inch-thick burger and make a deep depression in the center with your thumb. This will keep your burgers from shrinking and help them keep their shape - without having to press down on them while you grill. Season (liberally) both sides of each burger with salt and pepper. Start with a clean, oiled, hot grill. First sear them over high heat to develop a crust, then move them to a cooler part of the grill to cook. And be sure NOT to press down on them while cooking — this will only squeeze out the juices and dry them out. Grill the burgers until golden brown and slightly charred on the first side, about 3 minutes. 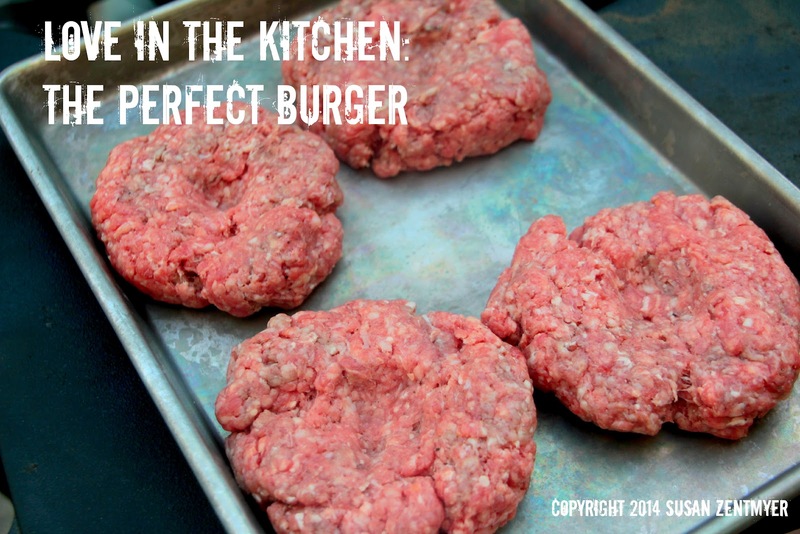 Cook burgers until golden brown and slightly charred on the second side, 4 minutes for medium rare (3 minutes if topping with cheese; see step 3) or until cooked to desired degree of doneness. Toast hamburger buns lightly on the grill, then brush with melted butter. 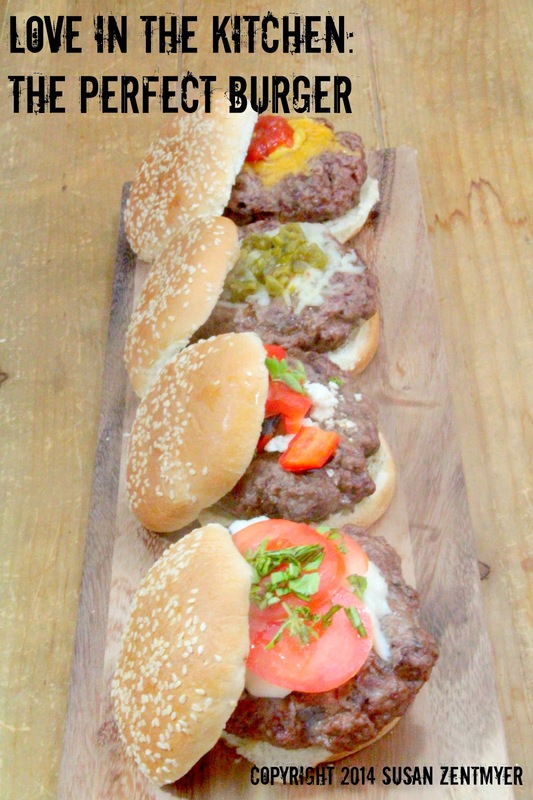 Sandwich the hot burgers between the buns, add any condiments or toppings and serve immediately. I love burgers. I'll have one of each. They look awesome. Thanks for sharing, Susan. I love the way you write and share your niche! Very interesting and different! Keep it coming! Coleman Roadtrip lxe vs lxx – Which Grill is Better?